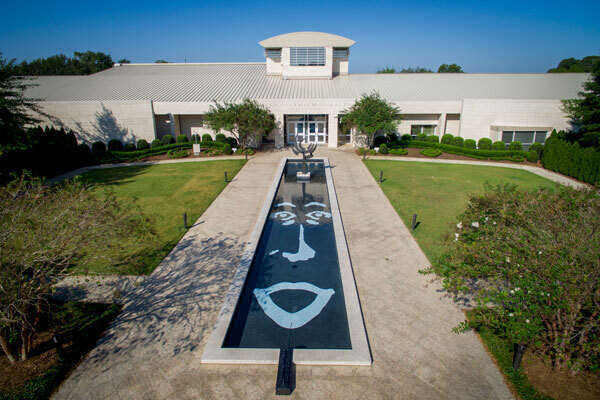 The Jule Collins Smith Museum of Fine Art at Auburn University is pleased to announce an open call for sculptors, aged 18 and older, through Friday, May 31, 2019 for “Out of the Box: A Juried Outdoor Sculpture Exhibition (October 4, 2019-October 4, 2020). 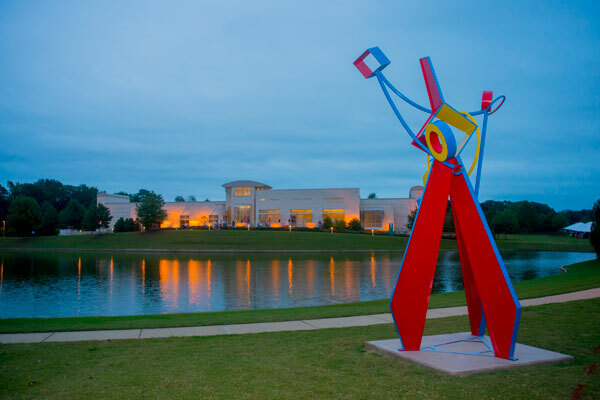 This fourth in the series of yearlong exhibitions is the biggest and best yet, with up to 15 impressive outdoor sculptures to be exhibited on the grounds of both the new Jay and Susie Gogue Performing Arts Center and the Jule Collins Smith Museum of Fine Art, otherwise known as the Arts District. 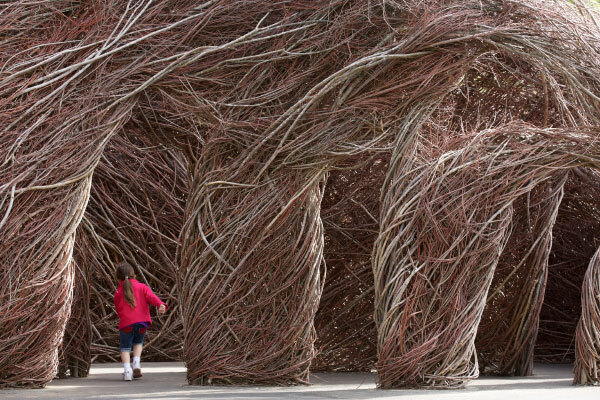 The selected artists will present concurrently with Patrick Dougherty, who is creating a fantastic, site-specific installation for the museum. 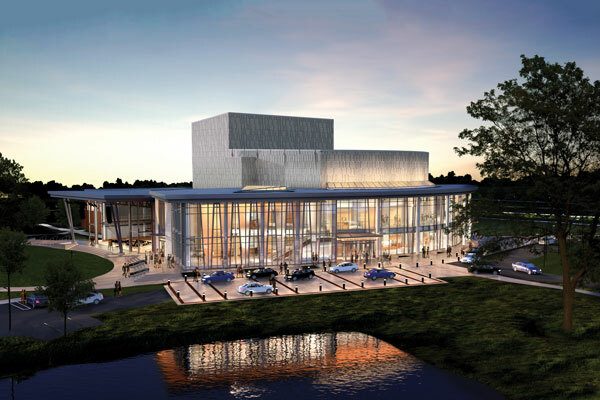 IMAGES: “Triad” by Hanna Jubran, “Out of the Box” 2015; “Floating Identity” by Hye Yeon Nam, “Out of the Box” 2017; “Fettle” by Luke Achterberg, “Out of the Box” 2015; Arts District rendering; Architectural drawing of the world-class Gogue Center, opening August 2019. 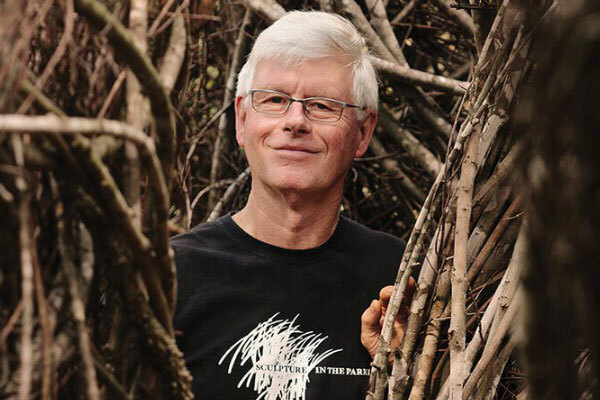 The range of Mr. Dougherty’s work spans single pieces on conventional pedestals to monumental scale environmental works that can require saplings by the truckloads. 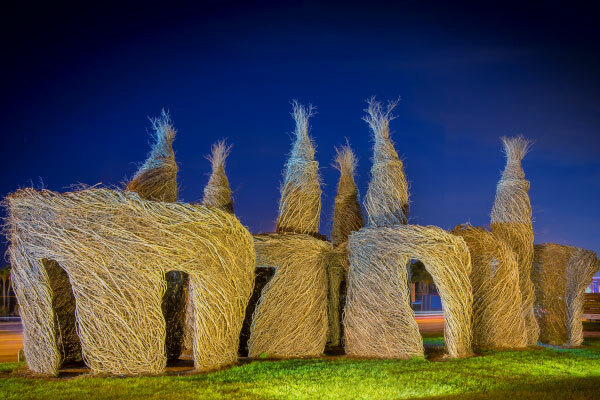 The piece he has created for Auburn incorporates the use of native plant species and will be engaging to Auburn’s Department of Forestry and Wildlife Sciences majors as well as students of visual art, architecture and many other backgrounds. Over the last 30 years, he has created over 250 similar works seen worldwide—from Scotland to Japan to Brussels and all over the United States. To learn more, visit the artist’s website. 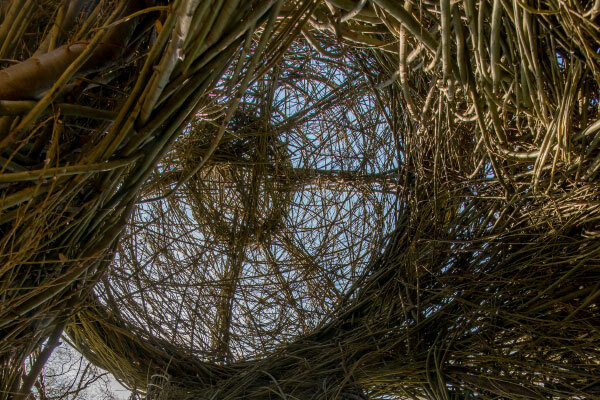 IMAGES: Patrick Dougherty; “Out in Front,” Sarasota Museum of Art, Sarasota, Florida (2013); “A Waltz in the Woods” (detail), Morris Arboretum of the University of Pennsylvania, Philadelphia, Pennsylvania (2015); “Ready or Not” (detail), North Carolina Zoo, Asheboro, North Carolina (2013); All images are courtesy of Patrick Dougherty. All submissions are reviewed via a blind-jurying process. Please note that all applications must be submitted online and that no mailed entries will be accepted. A $35 entry fee, with an early-bird discount of $30 offered until May 1, 2019, is required for all applications. This fee covers up to three sculptures per artist. Processing of the one-time entry fee is managed through Marketplace, Auburn University’s secure online payment system. You will receive an email confirmation. For additional information or assistance please contact Jessica Hughes, curatorial assistant at JCSM at 334.844.1596 or hughej3@auburn.edu. All submissions must represent completed works of art. No incomplete works, conceptual works or project proposals will be considered. 1. Be structurally sound and able to be secured to a concrete pad or lawn surface with anchor bolts or similar devices. 2. Take into consideration the safety of the audience. 3. Be capable of withstanding adverse weather conditions, including but not limited to, high winds, high and low extremes of temperature, heavy rain, hail storms, etc. 4. Be able to withstand a high-traffic, public-walking environment. 5. Be substantially maintenance-free during the exhibition period. It is the artist’s responsibility to deliver the sculpture to the specified area of the Arts District grounds and secure it properly to its mounts. The Jule Collins Smith Museum of Fine Art (JCSM) will provide supervision and limited equipment for the placement of the chosen sculptures. It will be the responsibility of the artist to supply any specialty tools or hardware that may be needed for installation. If a crane or hoist is needed, it is the artist’s responsibility to notify JCSM at least one month prior to the scheduled installation date so that arrangements can be made. The selected sculptures must be installed by September 20, 2019. Any sculpture that cannot be installed by the designated date will be disqualified and the artist’s honorarium will be forfeited. All accepted sculpture must be removed by October 16, 2020. Any sculpture not removed by this date will be considered abandoned and will become the property of JCSM, unless other arrangements have been made between the artist and JCSM. Artists may sell their work during the exhibition period; however, the work must remain onsite for the duration of the exhibition. JCSM will take no commission. Auburn University will provide insurance for the duration of the exhibition, to be outlined in additional loan documentation. An estimated insurance value must be provided on or before the time of installation. By submitting to “Out of the Box: A Juried Outdoor Sculpture Exhibition,” the artist agrees to comply with all rules and requirements. 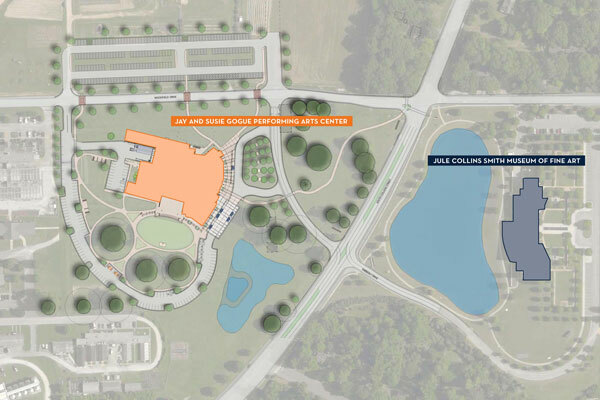 Up to 15 finalists will be selected to install their artwork on the grounds of Auburn University’s Arts District. Artists whose works are installed will receive a $1,500 honorarium to offset transportation, lodging and incidental expenses. Any additional costs are the responsibility of the artists. From among those exhibited finalists, three artists will be selected to receive the following cash prizes: $3,000 for first place; $1,500 for second place; and $500 for Honorable Mention. In addition, two of those top prizewinners will be invited back to participate in a special guest lecture series presented by the museum. Purchase awards might also be available. For additional information or assistance, please contact Jessica Hughes, curatorial assistant, at 334.844.1596 or hughej3@auburn.edu or Andy Tennant, assistant director, at 334.844.3081 or tennawa@auburn.edu. 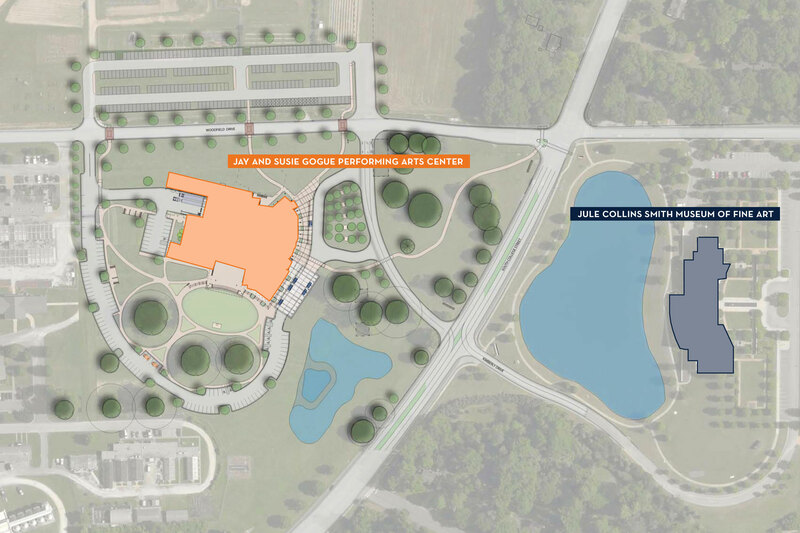 The Jule Collins Smith Museum of Fine Art’s education and outreach initiatives are an integral component to its mission and to that of Auburn University’s. Programs include a range of activities, resources and outreach opportunities that build community, spark conversation and expand knowledge through the arts. All museum programs are designed to be inclusive, accessible and collaborative. An important component of programming and outreach activities is to reach a broad scope of intergenerational audiences, including K-12 students, Auburn University students and lifelong learners. 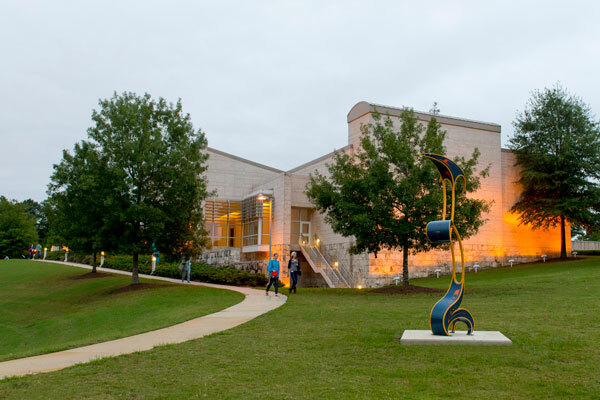 The museum’s popular “Out of the Box” exhibition, a biennial juried outdoor sculpture exhibition, offers established and emerging artists the opportunity to present three-dimensional works on the grounds of the museum. Several works from past exhibitions are now a part of the museum’s permanent collection because of charitable giving, including “Dreams of Flying,” 2011, by Robbie Barber; “Angles of Repose,” 2013, by Gregory Johnson; and “Self-Portrait as Bunnies (The Bathers),” 2014, by Alex Podesta. Previous “Out of the Box” jurors include Carol Mickett and Robert Stackhouse (2013), Willie Cole (2015), and Jean Shin (2017), all of whom are contemporary and highly-regarded artists.